(a) Disconnect the MB main body ECU (multiplex network body ECU) connectors. (c) Reconnect the MB main body ECU (multiplex network body ECU) connectors. 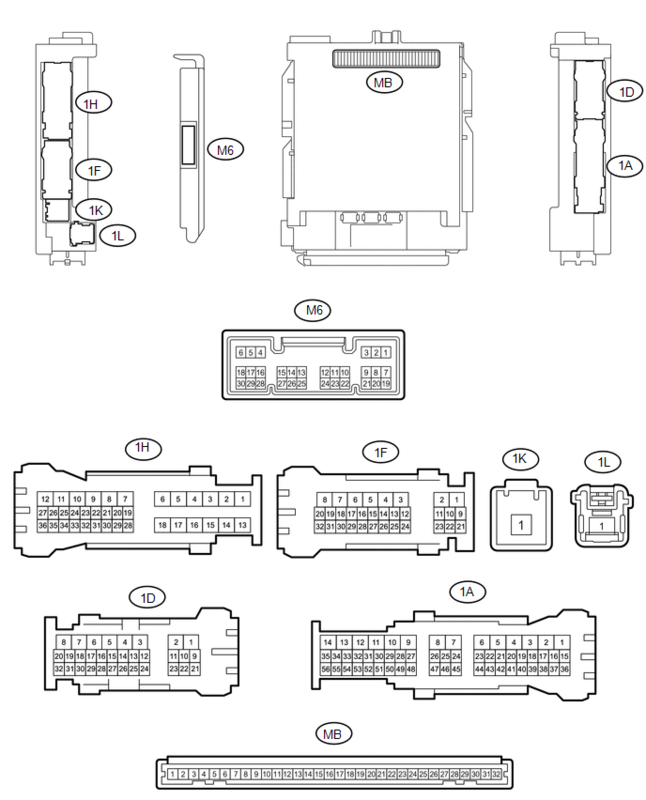 (a) Disconnect the C27 and C29 certification ECU (smart key ECU assembly) connector. (c) Reconnect the C27 and C29 certification ECU (smart key ECU assembly) connector. (a) Disconnect the T24 door control receiver connector. (c) Reconnect the T24 door control receiver connector.